Please do come to our Ayala Land Premier event this Sunday, April 26th. 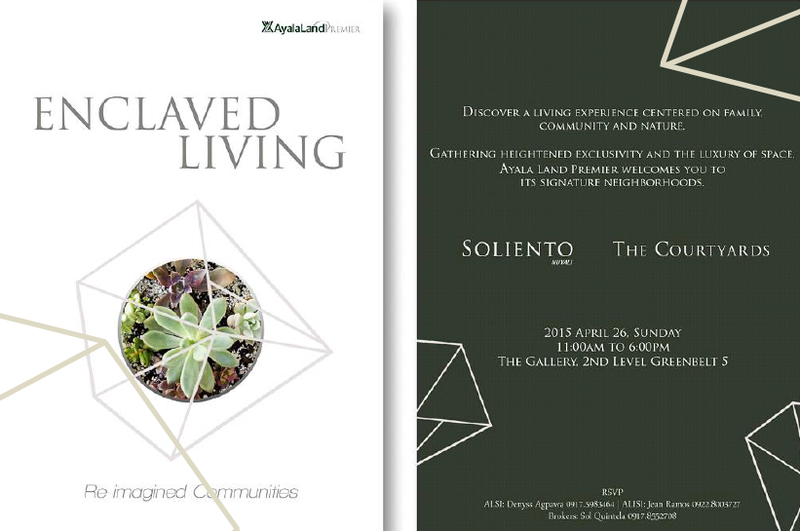 We will be exhibiting our projects The Courtyards (Vermosa) and Soliento (Nuvali). If you are on the look out for a hi-end property purchase, this an event you must attend. Venue will be at The Gallery in Greenbelt 5. Contact me if you wish to come. Saving up for your future is very important. It is an important lesson our parents (and every other adult in our life) constantly taught us while you were growing up. But there’s one more lesson that was not instilled enough – investing. A young entrepreneur, Paola Espina, admits doing this. “I never really thought about putting my money on things that would benefit me in the long run,” she says. As the owner of Ola Cupcakes, an online cupcake shop, Paola recently decided to put her money’s worth on things that will matter in the long run. “Now that I’m starting my own business, I’m thinking of getting my own place, too. I like to live an independent life,” she explains. So how do you start living your life? For starters, find a good place to live in. If you want to declare your independence to the world, what better way to do so than purchasing a home with your hard-earned money? Your first step is to invest in real estate. There are many things you need to consider when buying a condo: the price, the location, the amenities, etc. “Since my parents live in the South, I’d like to get a place that is near them but is also at the heart of the city so I can expand my business,” tells Paola. Ayala Land, Inc.’s one-of-a-kind master planned community in Taguig City, Arca South, is the best place for Paola (or for those who want the same thing) to be in. Not only is it developed by the trusted premier real estate developer, it will also be the next central business and lifestyle district in the metro. Value for money. Arca South offers a wide array of residential offerings, depending on your needs (and budget). 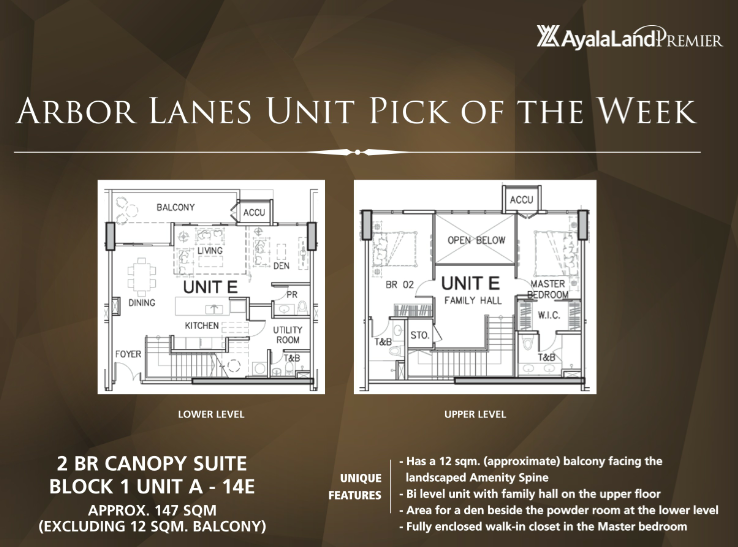 The towers of Arbor Lanes, The Veranda, and Avida Towers One Union Place have premium units that will be equipped to make your stay a lifetime of ease. Convenience. The first phase of the lifestyle mall in Arca South will be available at your disposal. There will be 350 stores of your preferred fashion brands (with wide array of leading local and global brands), popular dining destinations and home-grown food concepts, supermarket, and cinemas when you step out of your home. Add in the hospital (QualiMed Hospital) that will also be built in the Arca South community. Active lifestyle. The campus-type development of Arca South provides opportunities for convergence and leisure. You’ll have a park where you can run, and other sports and leisure areas for the active you. City living at its finest. Though it is located at the heart of a thriving area, you won’t feel the congested vibe of the metro. The low to mid–rise buildings and the integrated basement parking system prevents traffic chaos. With no vehicles parked at street level, Arca South will be pedestrian-friendly. Business possibilities. With nine office buildings on the rise (think of an office space for 400,000 workers), there will be a lot of opportunities for employment. Soon to become a business district, Arca South is also an ideal place to develop your business or to set up one. Well-connected community. Strategically located near NAIA, Bonifacio Global City, and Makati, it will have an intermodal transport terminal and direct connection to Skyway, C-5, and C6 to give you a more convenient way to travel. 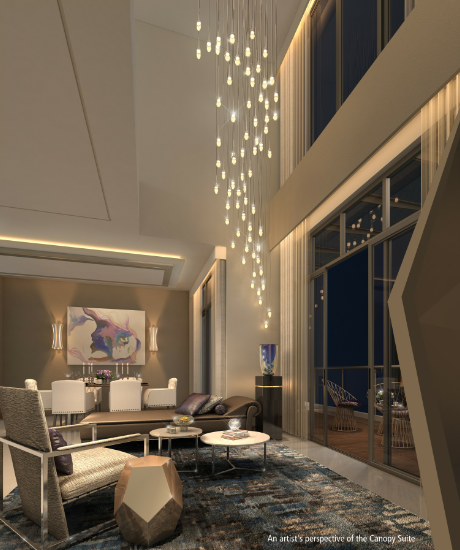 MANILA – Ayala Land’s high-end property unit Alveo Land is expecting to generate sales of about P8 billion from its new residential condominium project at the Bonifacio Global City (BGC) in Taguig. Anton Sanchez, division manager for project development at Alveo Land, said the company will be investing P4 billion for the 49-storey tower located at the crossroads of 32nd Street and 11th Avenue. Park Triangle Residences will have 616 units of studios, 1-bedrooms, 2-bedrooms and 3-bedrooms ranging in size from 36 sqm to 232 sqm. Units will be sold at P175,000 per sqm or P6.5 million to P44 million per unit, and are expected to be turned over early 2021. MANILA, Philippines – Avida Land, the mid-market brand of property powerhouse Ayala Land Inc., intends to bolster its subdivision portfolio this year as it is likely to get over a 10th of its parent firm’s P100 billion capital expenditure (capex) budget. Avida Land president Chris Maglanoc said the company has earmarked P14 billion for expansion and acquisitions this year. The amount would come from ALI’s P100-billion capex. “What we want right now is really to grow the house and lot line, the subdivision. That is why in our growth thrust, landbanking is actually provincial,” he said. Maglanoc said Avida Land is scouting for possible land acquisitions in key cities in the Visayas and Mindanao regions. “We’re looking for properties in Cagayan de Oro, Davao, and Cebu, if we find the right location and the right price,” he said. Avida Land, which is celebrating its 25th year this 2015, is set to launch 10 projects worth P20 billion across strategic locations in Bonifacio Global City, Makati City, Quezon City, Muntinlupa, Bulacan, Tagaytay, Iloilo and Tuguegarao within the first half of the year. The projects to be launched include seven residential condominiums, two land and house subdivision, and one office condominium. “From the last two years, we’re able to move around P25 billion worth in terms of sales. So we’d like to grow that,” Maglanoc said.